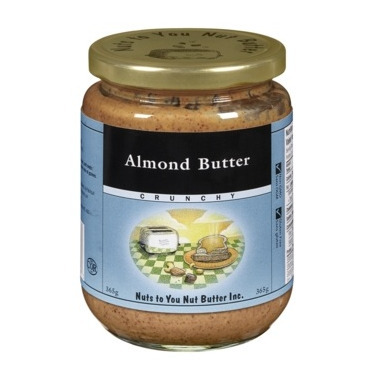 Nuts to You Crunchy Almond Butter is made with nothing but dry-roasted almonds. Yummy! Ingredients: Dry-roasted almonds. May contain traces of peanuts and other nuts. The Crunchy Almond is my favourite of the Nuts To You nut butters. Delicious! Nuts to you is my favourite brand of nut butters. Delicious!